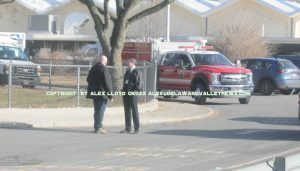 Alex Lloyd Gross -Photo- Delaware Valley News.com School district personnel discus the incident, as fire apparatus is staged. 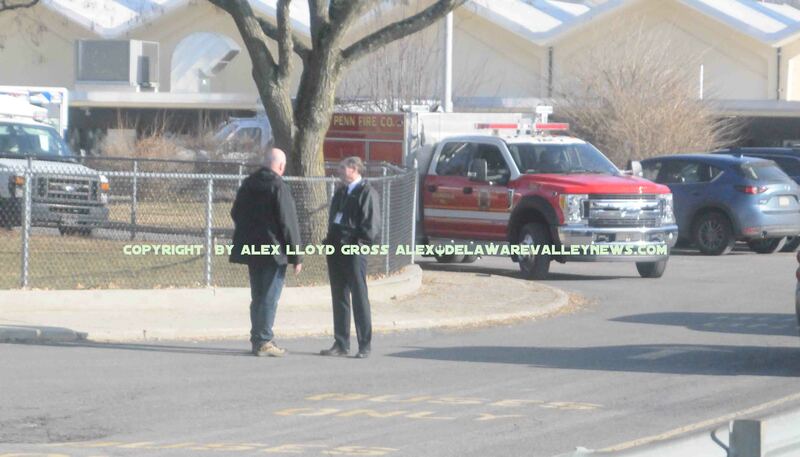 No students were injured or went to any hospitals, following a carbon monoxide leak inside the Herbert Hoover Elementary School in Middletown Bucks County Pa., today, February 5, 2019 The school, located on Trenton Road was evacuated when students started to complain about being sick. At first three medic units and numerous fire trucks responded . According to Superintendent Joseph Jones. The incident started about 1:45PM and those students that did not feel well were kept in a different area outside , as medical personnel examined them to make sure they were fine. There were reports of seven students and one teacher that was affected. A problem with the kitchen was determined to be the problem. Students were dismissed for the day and spent the remainder of the day outside until they could be picked up by their parents.